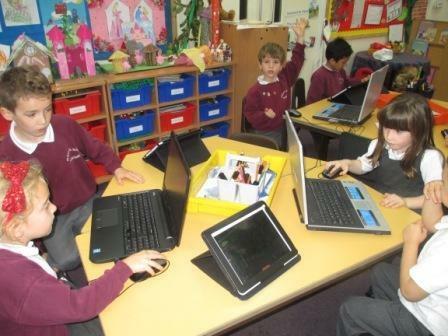 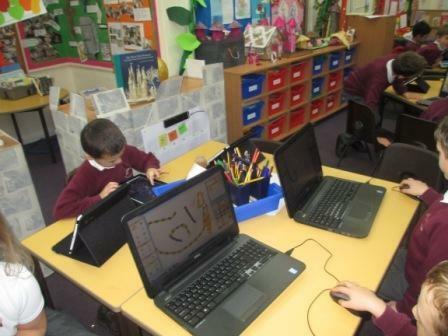 In Art and Computing we have been using laptops and LearnPads to experiment with mark making. 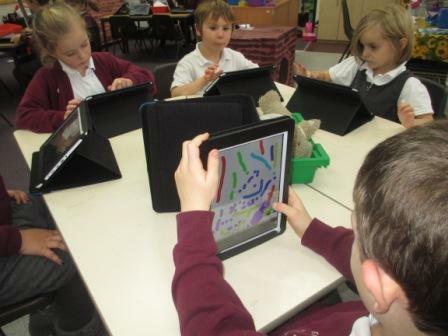 We have been using drawing apps and Clicker Paint to create different types of lines. 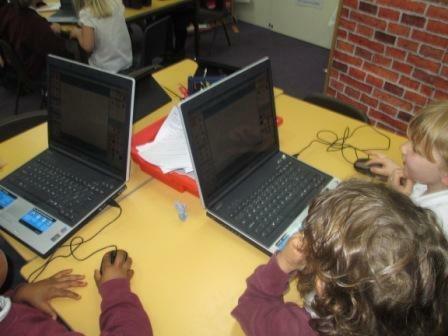 We have used the icons to change the colour and thickness of the brush. 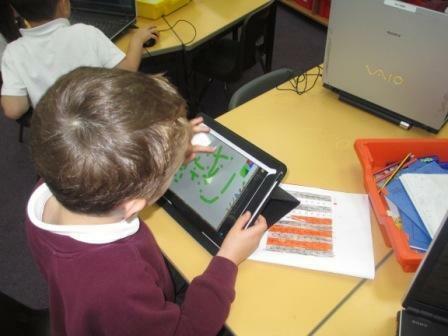 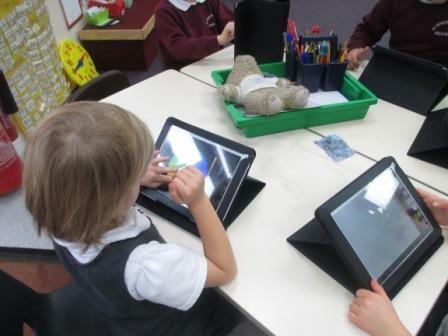 We really enjoyed using the LearnPads and Miss Angus showed us how to use our finger to create art work.